I am your 7th Grade Geography teacher, 6th Grade Grammar Comp teacher, or even your 8th Grade Grammar Comp teacher. You could be lucky enough to have me three years in a row! In this case, we get to know each other very well. Since you will see me everyday in the hallway or classroom I thought you would like to learn a little about me. If you have had me before you may know a lot of information about me already. I love to teach middle school students and am constantly amazed by the things they come up with. There is never a dull moment in the middle school! One of my very favorite things to educate students about is cultures around the world. I guess I have always had a curiousity of how people live throughout the world, which probably is why I was a travel agent before I became a teacher. I have a very active life and sometimes feel like I am chasing my own tail. With two children who are involved in everything under the sun, I often wonder why I just don't live in my car since I run so much. My oldest is Colin, who just turned 16. This is putting gray hair on my head! I am not sure that giving up control suits me well. He is very active in sports and seems to take it to the extreme at times. We have yet to have a season where he hasn't had a major injury or surgery. Again...he is putting gray hair on my head! My youngest is Karcyn, who is a 7th grader this year. Poor girl has mom for a teacher. I credit all my wrinkles to her! She also is just as involved in sports and is a social butterfly. She has a mind of her own and doesn't hesitate to tell you what she is thinking.....a little too much like mom, I guess. I love to spend time watching my children in all their sporting events and have to admit I am not a quiet sideline mom. I also very much enjoy my quiet time snuggled up with a good book of an evening. There isn't much time for hobbies; however, my husband, Tony and I quite enjoy traveling and spending time with friends and just enjoy the life we have created with each other. * RESPECT THE TEACHER, YOURSELF, AND YOUR PEERS! * HOMEWORK IS EXPECTED TO BE TURNED IN ON TIME ON OR WILL BE CONSIDERED LATE AND RECEIVE HALF CREDIT. * THIS IS A LEARNING ENVIRONMENT, WHICH MEANS EVERYONE HAS THE RIGHT TO LEARN WITHOUT DISTRACTION! * SET GOALS FOR YOURSELF THROUGHOUT THE YEAR AND MAKE THEM MANAGABLE AS YOU WORK TOWARDS THEM. * THERE IS NO DUMB IDEA OR QUESTION......REMEMBER THAT! * TREAT OTHERS AS YOU WOULD WANT TO BE TREATED AND LIFE WILL BE MUCH EASIER. * DO NOT INTERRUPT OTHERS, INCLUDING THE TEACHER! 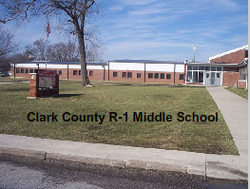 EMINTS IS A GRANT AFFILIATED PROGRAM IN WHICH ALL 7TH AND 8TH GRADE CORE TEACHERS IN CLARK COUNTY ARE INVOLVED IN. THIS PROGRAM IS GEARED TO PROMOTE STUDENT'S TO TAKE THIER THINKING A STEP FURTHER. HIGHER LEVEL THINKING/PROBLEM SOLVING WHILE INTERGRETING THE 21ST CENTURY SKILLS THROUGH THE USE OF TECHNOLOGY IS A PRIMARY GOAL IN THE EDUCATION OF THE NEXT GENERATION. STUDENTS WILL BE MORE KNOWLEDGABLE ON THE USE OF TECHNOLOGY AND ALL THE TOOLS AVAILABE TO THEM, WHILE LEARNING TO SOLVE PROBLEMS AND REACH THAT HIGHER INTELLEGENCE VERSUS THE BASIC RIGHT OR WRONG QUESTIONS. THIS WILL BENEFIT THEM IN THE FUTURE SINCE OUR FUTURE IS VERY MUCH TECHNOLOGY BASED. FOR FURTHER INFORMATION ON EMINTS PLEASE VISIT THE EMINTS WEBSITE AT www.emints.org.